A few years ago, my parents were in the loft and they brought down an old typewriter which was given to my dad a while ago. Typewriters are awesome so of course I said I’d have it! Sitting at the kitchen table, I typed a page full of randomness, about what everyone was doing. It was working fine apart from the space bar sometimes needing a stronger push. I moved the typewriter up to my room where it sat for about a week before I decided to use it again. It was a Saturday morning I believe. However, this time, it wasn’t just a stiff space bar that was a problem, but the ink was seemingly running out, the backspace button didn’t work properly, along with a selection of other buttons that didn’t do what they were supposed to do and when I tried to type, the paper didn’t always move across. 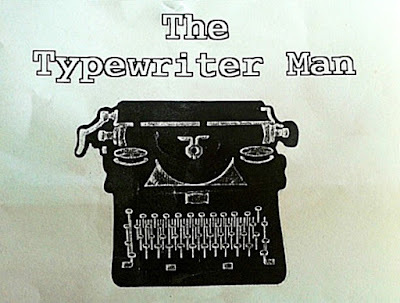 Disappointed, I wondered if there were any typewriter repair shops nearby, then laughed because nowadays why would there be, not enough people even had typewriters let alone used them often enough for there to be a local repair shop! Besides, this typewriter seemed like it’d need more than just a refill and a few parts replacing. It was a lovely summer’s day, so I went out to spend the day with my cousins and didn’t think or talk about it, it was completely out of my mind. When I came home, I saw a leaflet had been posted through the letterbox. I picked it up and turned it over. 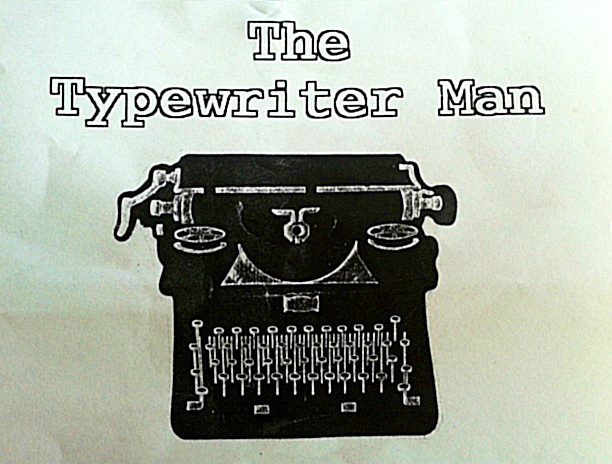 It was titled, ‘The Typewriter Man’.